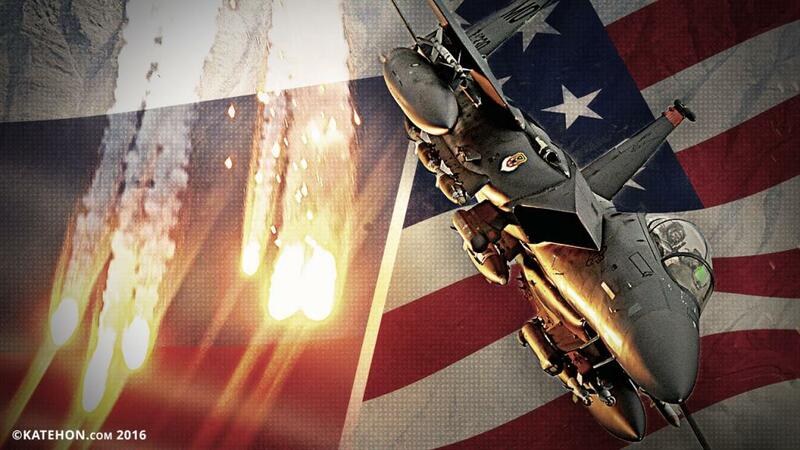 Washington made another attempt to escalate the conflict in Syria on Saturday. The consequences may be dramatic: the Syrian-Iraqi crisis is turning into the a new World War with a potential nuclear response from Russia or the US. The US air force's attack the pro-government troops of Syria at Deir ez-Zor resulted in 63 soldiers dead, and about 100 wounded. It is important to note that when the US attack's ISIS, the number of dead and wounded people were only ever in the dozens. After these attacks, the ISIS troops started an offensive operation that caused a fierce battle in the regions where humanitarian assistance had been brought. Russia initiated the emergency meeting of the UN Security Council. The representative of the Foreign Affair Ministry, Maria Zakharova, said that “we have come to the terrible conclusion that the White House is defending the Islamic State.” After keeping silent for a long time, the Pentagon announced that it had been a mistake. The statement, published by the US military department, said the US military forces had coordinated their actions with Russia. It mentioned too that they often contact the Russian headquarter out of “professional courtesy,” even though the current US-Russian memorandum of understanding on air safety doesn’t demand it. Russian Foreign Ministry announced that the US threatens the whole of the reached agreement. Recently, US Secretary of State John Kerry phoned Russian Foreign Minister Sergei Lavrov to discuss the situation in Syria. The Russian side focused on a number of armistice violations that had occurred. The US Air Force strikes were preceded by the appearance of aircraft near Hmeymim (Syria) and close to the Iranian border, to the Hamadan base used by Russian Air Forces. Moreover, the US media reported that the region around the Syrian army on the eve was thoroughly investigated by US intelligence. The conclusion is clear: the US knew who they would attack and when. The strike was on the eve of parliament elections in Russia when all attention was on domestic politics. Such an approach characterizes the US military-political machine. Although the Russian politicians responded immediately, Washington needed to know the military reaction of Moscow: Will the Russian forces attack the American bases in Syria or only use the diplomat rhetoric. And what will the current Russian allies (China and Iran) do? Russia's legally deployed its troops in Syria are a strategic partner of Assad’s government. The US occupied part of its territory in the north, in fact proving its aggressive intentions in the agreements with Russia. In accordance with international law, the US committed a crime, but didn’t they do the similar things earlier? Washington didn’t face any consequences after the Iraq occupation, arranged without any UN Security Council resolution. Thus, if the logic of the unipolar moment continues, nothing crucial will happen this time. However, now we have a new criteria: arising multipolarity. The situation in Syria is directly linked with the US presidential election. As Trump is the most likely winner, the hawks and the globalists have few chances to continue their policy and to keep the unipolar world order (under the global leadership). Thus they try to initiate the new global war. There are two options: officially entering the war, thus they introduce a state of emergency and Barack Obama continues his presidency. Even if Trump wins, he will be placed in such a conditions that he will have to continue the military campaign. Thus, we will face a fierce confrontation for the next two and a half weeks. A New World Order or the Third World War are two possible consequences. And the dirty war continues, as Western citizens remain lulled by the sophisticated mainstream media propaganda.